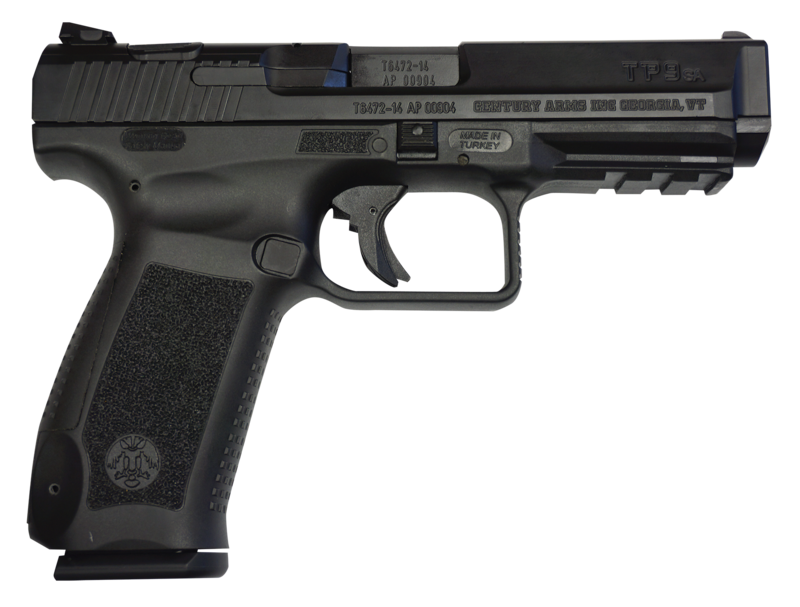 The TP9SA comes with industry standard dovetail sight cuts, improved single action trigger, and a MIL-STD-1913 Picatinny rail. It features a match grade barrel, loaded chamber indicator, striker status indicator, and reversible magazine catch. It includes two magazines, polymer holster with paddle/belt attachment, interchangeable backstraps, cleaning rod, and a brush. This model has 3-Dot steel sights, a black polymer frame, and a black Cerakoted slide with an ambidextrous top slide-mounted decocker.